The time-honored Wyoming tradition of keeping government closest to the people is at risk in Cheyenne. The Wyoming Legislature is considering substituting its judgment, or really no judgment at all, for that of local government in the field of managing growth and development in every Wyoming county. Senate File 49 – County zoning authority-private schools, House Bill 51 – Lawful fence standards-county preemption and House Bill 196 – Local regulation-subdivisions take away every county’s ability to make its own decisions regarding siting and use of private schools, implementing wildlife and neighbor-friendly fencing in residential areas, and creating special exemptions from zoning and subdivision laws. 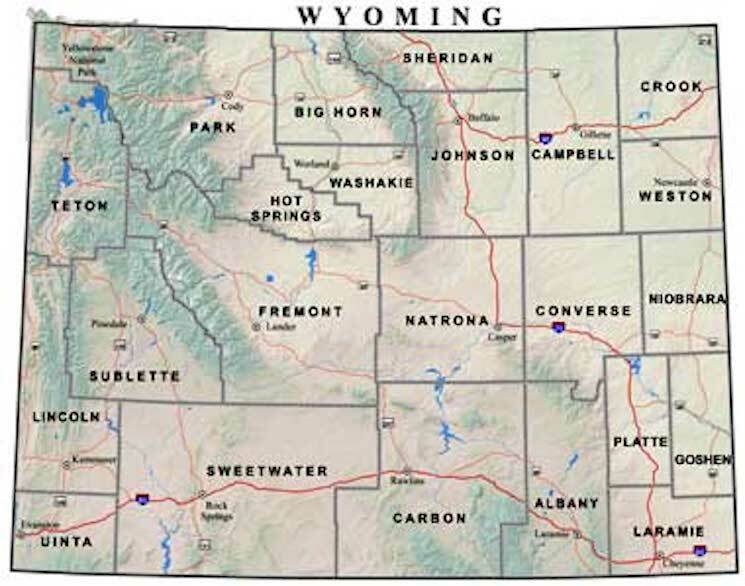 The three bills have one thing in common: in each case, they impose the one-size-fits-all judgment of the 2019 state Legislature on the diverse set of 23 counties that make Wyoming unique and distinctive. They strip county citizens of due process, local control, and place-based solutions. Proponents of the bills have not designated what will take the place of responsible local oversight. The result is obvious. If these bills pass there will be no locally grounded public guidance and infrastructure integration when private schools of whatever character decide to build campuses. In places where scenic protection fences may be needed for property value protection — between a neighborhood and a salvage yard for example — screening fences will go unbuilt. Ranches will get turned into 5-acre or smaller ranchettes. All with no local community input, none. Letting singular and sometimes selfish, bad-for-the-rest-of-us interests run rampant at the expense of Wyoming counties and rural communities across the state is a bad idea. Senate File 49 exempts private schools from all county land use regulations, while the definition for private schools is written such that a broad array of uses — conferences, concerts and other noisome functions — could be held without county oversight or input. If passed, local authorities would be unable to address the impacts from traffic, sewer, water systems, or rural character imposed on communities by these significant new projects. Proponents of SF49 say private schools should be treated the same as public schools and then they give away the farm. Public schools are publicly accountable every step of the way when new facilities are proposed. A specific state statute requires public schools to undergo a rigorous public siting and hearing process. Once built, new public schools are governed by accountable, elected, local school district boards of trustees. Senate Fie 49 removes all public oversight provisions for the siting, use, and occupancy of private schools. Attempts at amendments so far are vague and open to misuse, especially in parts of Wyoming that have not yet been pressured by overdevelopment. Senate File 49 is so poorly worded that, if it becomes a state statute, the law of unintended consequences will bite the people of Wyoming. Most private schools benefit communities even if they impact the surrounding neighborhoods. Nefarious causes or organizations as well as good ones, however, could masquerade as private educational institutions under the criteria of SF49; and if SF49 passes, counties won’t have any control either way. In addition, SF49 is constitutionally impermissible special interest legislation that would make bad law. Senate File 49 and HB196 put Wyoming residents at risk. House Bill 51 threatens Wyoming’s cherished wildlife populations and their migrations and movements. Poorly planned development can harm property owners and neighbors, overwhelm public infrastructure, mess up transportation systems and imperil lives from unconsidered natural forces such as floods, avalanches, and landslides. The Wyoming County Commissioners Association sees the enduring value of local control: 85 percent or more of Wyoming’s county commissioners recently voted to oppose each of these bills. At best, exempting any special class of landowner from community planning regulations is like removing a muffler from a motor vehicle. You can still drive the car, but it is going to be noisy, with bad impacts to others. At worst, human health and welfare can be jeopardized. The word ‘comprehensive’ in county comprehensive land use plans means considering all aspects of land use and development identified through years of public surveys, workshops and hearings. When shortcomings are recognized, local citizens and local governments are best suited to correcting them as they are closest to, and most knowledgeable about, the landscapes and communities covered by the regulations. Senate File 49, HB51 and HB196 violate local control. They undermine comprehensive planning. These three bills need to die. Wyoming State legislators need to receive that message. You can help protect local control in your community by calling the Legislative Hotline at 866-996-8683, as soon as possible, to let your legislators know you oppose SF49, HB51, and HB196. Citizens for Local Control is an ad hoc group of more than 30 Jackson Hole residents with long histories in land use planning. They include three former county commissioners whose 27 years of service spanned from 1983 to 2014, multiple county planning commissioners, five Wyoming lawyers, many non-profit leaders and other concerned citizens ranging in age from 23 to 83 and representing every decade in between. Interesting there is no mention of bazillionaire Foster Friess, who was unable to buy the governorship, so instead he’s trying to buy the legislature with bills to suppress voting and nullify local zoning to promote more school segregation. It is important to understand that the state legislature is not Cheyenne. It is the voted representation from every county. The grandstanding of the Republican super majority is a cancer that is tearing the state apart, particularly the TeaParty contingent. That they are representations of each county is true, but not recognizing that the current situation is not in need of being fixed is the issue, regardless of the political affiliation of those who are proposing these bills.